Students explore the fundamentals of the Roman Republic: its government, military might, and slave system. They conclude by preparing a report comparing and contrasting the republican systems in ancient Rome and in the United States. In this experience, students explore the fundamentals of the Roman Republic: its government, military might, and slave system. They conclude by preparing a report comparing and contrasting the republican systems in ancient Rome and in the United States. 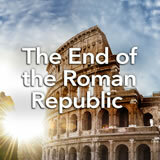 Describe the social, political, and economic development of the Roman Republic. Explain the role of slavery and the significance of citizenship in the Roman Republic. 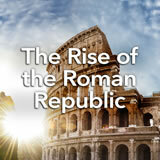 Identify how the government of the Roman Republic contributed to the development of democratic principles. 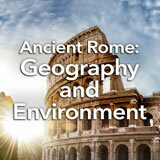 The histories of ancient Greece and ancient Rome overlap. In fact, Romans thought of themselves as the heirs to Greek civilization. In this experience, you’ll learn an important phase of Roman history that still affects us today: the Roman Republic. You live in a republic—the United States of America. Was it the first republic ever? No. There were several republics in ancient times. The one that was most influential on European and North American civilization was the Roman Republic, which began about 2,500 years ago. What do you know about a republic? What would you like to know? You can just write words or phrases in the table below. Discuss student responses. Students may associate a republic with words such as democracy and government. They might want to know more about the history of republics or how the U.S. form of government is connected to ancient Rome. Use the discussion to frame the rest of the experience.